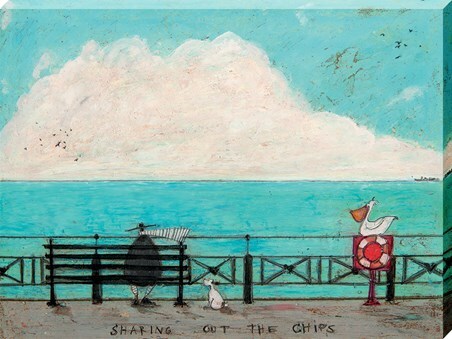 Enjoy another slice of Sam Toft and her wonderful whymiscal world of Mustard with this sombre canvas print. 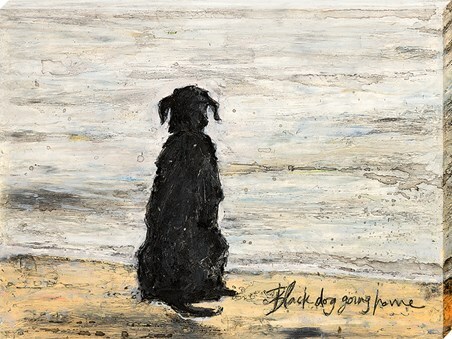 Apply titled 'Black dog going home' sees a lonely black Labrador sitting at the waters edge looking longingly out over the sea, as if he is expecting his lifelong companion to come on by. 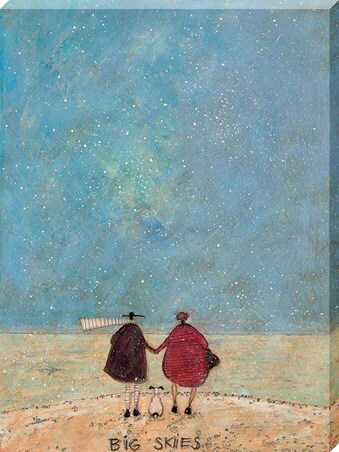 Crafted from a variety of non-uniform brush strokes which build up the layers of texture, this heart-moving image is sure to add some emotion to any room in which it is hung. 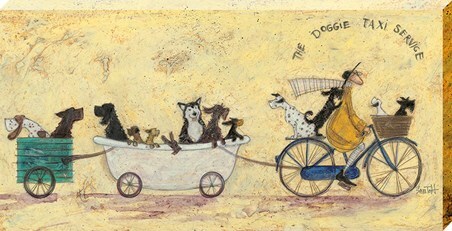 High quality, framed Black Dog Going Home, Sam Toft canvas print with a bespoke frame by our custom framing service.